See lflta.net for more information. Phi Tau Gamma is the foreign language club at the University of Louisiana at Monroe open to all students interested in other cultures and languages. The club hosts many different events of interest to all. You do not have to speak a foreign language to participate. The meetings are held once a month and include presentations by professors or students in different areas associated with the culture and traditions of various locations around the globe. Pi Delta Phi is a nationwide honor society whose mission is to recognize outstanding academic achievement and to promote interest in the French language and Francophone cultures. ULM’s own chapter, Mu Chi, was inaugurated in 2000 and has welcomed new members every year since in a special initiation ceremony. To qualify for membership you must have at least a 3.0 GPA in French courses and rank in the top third of your class (generally 3.0 overall). You must also have taken at least one French course on the advanced level, above French 2005. Even if you are not yet eligible to become a member, however, you are always welcome to attend the initiation ceremony, which includes a keynote address by a special guest speaker, readings in French (with English translations provided), musical performance, and even cookies and punch! Initiates receive a certificate of lifetime membership and a Pi Delta Phi pin. At commencement time, graduation cords are available free of charge. 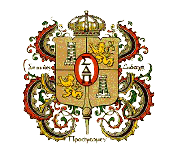 Sigma Delta Pi is an international honor society for Spanish students. In order to be initiated, a student must have a 3.0 or better in Spanish and an overall average of 2.75 or above. The student must also have completed a course in literature or culture and civilization in Spanish. For more information contact Dr. Ruth Smith, rusmith@ulm.edu. The Lambda Sigma Chapter also awards scholarships to its members to study abroad. The Chapter initiates members twice a year. If you wish to contribute articles to the newsletter, contact Dr. Ruth Smith, rusmith@ulm.edu.